Spending lots of cash on a wedding has already been a norm for many people. However, for some, this is not an option at all. In order to have a nice wedding without breaking the bank, they need to make sacrifices and even innovate. Creativity is the key! Such is the case of Felma Masaring, whose photo went viral last week. 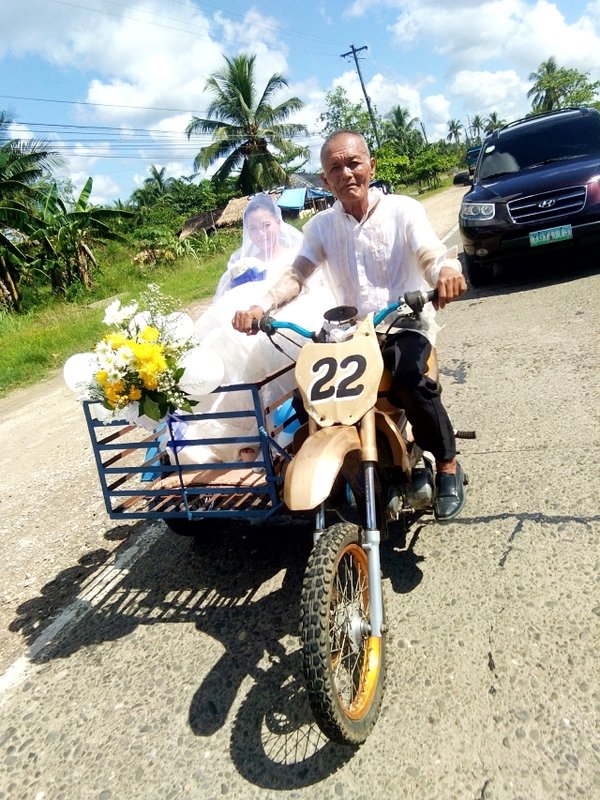 In the image posted by user Kaycee Pitao Jose on Facebook, Felma can be seen riding a sidecar on her way to the wedding. Made up and wearing a nice wedding dress, Felma is all-smiles in the said photo. His dad, on the other hand, is clad in a barong Tagalog while driving the vehicle. 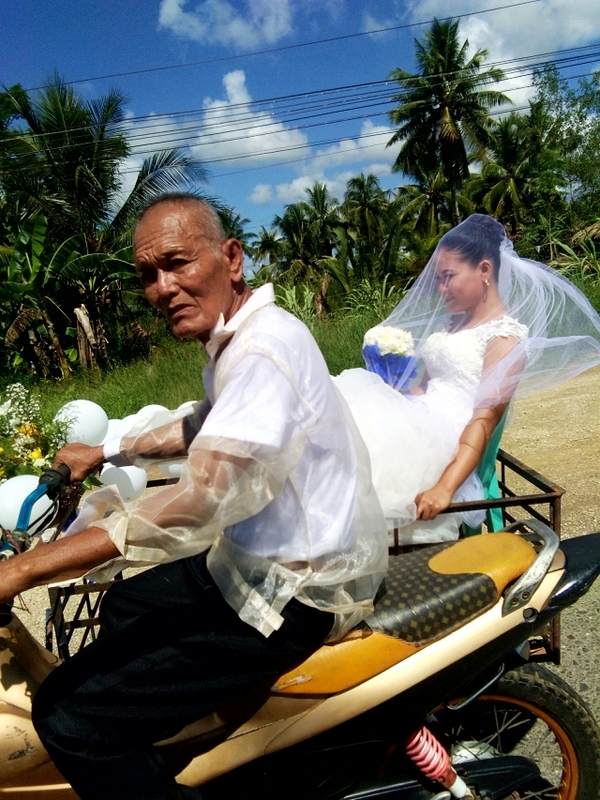 Felma got married last May 10 at St. Vincent de Paul Parish in Bislig City. 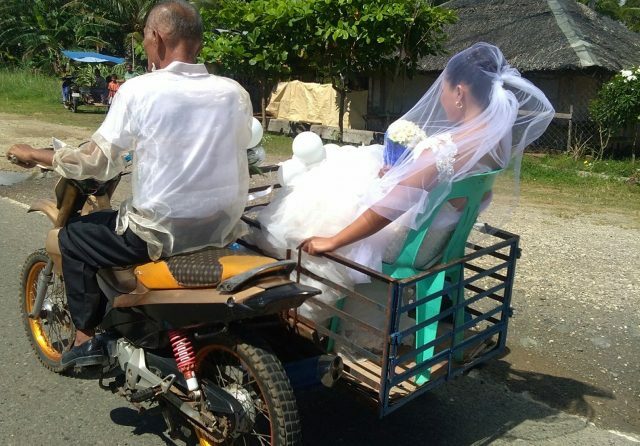 According to a report, she a hard time finding a bridal car that they could afford, so she just settled for the sidecar. It was the same vehicle they used to travel from the church to their home, where an intimate celebration was held. Netizens praised the bride for her simplicity. Many also commended her for being practical. Instead of borrowing cash to pay for a fancy ride, she opted for what was readily available. The post also touched many people’s hearts. Netizens appreciated the effort of Felma’s father. Indeed, this story just goes to show that weddings can be lovely and memorable regardless of the budget. It reminds us about the things that are more important than lavish wedding details.